There are many optometry-related online resources that I have used throughout optometry school. A few of the ones that I have found most helpful and have used the most are below. AOA Compass is a resource available to AOA/AOSA members. It provides a step-by-step guide for optometry students and new practitioners to help them complete necessary steps before practicing optometry. It also provides information on different resources available to help optometry students and new practitioners transition from school to practice, including career resources and student loan repayment options. Each step has detailed information and useful links to help with completion of the step. Members are able to update the status of each step to reflect the progress of completion using four different statuses: To Do, In Progress, Finished!, or NA. There is also a Total Progress status bar that shows the percentage of completion of all steps and an option to add typed notes to each step. Members can access the site by using their AOA login information. About: “EyeDock.com is the leading online clinical reference for eye care professionals, featuring a searchable contact lens and ocular pharmaceuticals database, an ICD-9 lookup, and clinical calculators to streamline contact lens prescribing. 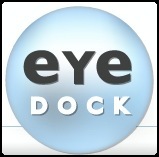 Founded in 2003 by two optometrists in clinical practice, EyeDock.com has about 3,000 subscribers. EyeDock is my most used iPhone app in clinic to look up medications and contact lenses and for vertex conversion. EyeDock generously provides coupon codes for complimentary subscriptions to optometry students and faculty members. Dr. Richard Trevino, OD, FAAO, the Director of Residency Programs invites students to Residency Day every year! He puts on this program so that students can see what other options are available besides working after graduation. 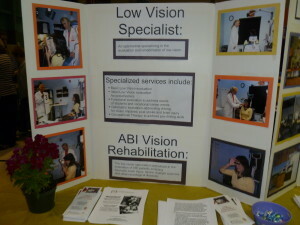 The purpose of this program is to provide students with some general information about optometric residency education. We also learned about residency programs available here in San Antonio, and heard from faculty that have recently completed residency training about their experiences. 10:30 AM Welcome. What is a Residency? Lunch was served at 12pm-1pm in the student lounge. Italian aroma filled the room with pizza, pasta, salad, and fresh bread aiding the deliciousness. UIWRSO Student Affairs office set up the Career Pathways program, this career fair was from 12:30pm-4:30pm in the Special Events rooms 301-304. 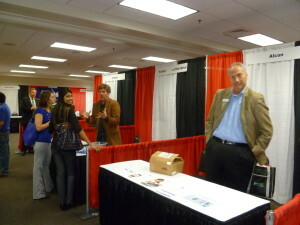 Outside these rooms, the Student Affairs team prepared a Career packet for every attendee. Once inside, we were greeted with smiling faces of the employers/vendors attending our Career Fair. 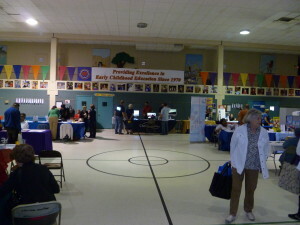 I was drawn in to each booth because they had candy, freebies, and cool swag. Not to mention, they were offices looking for students to work for them! 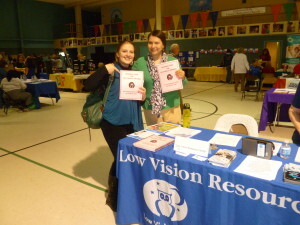 Student Affairs printed a booklet of the CV/resume of the graduation class and presented it to the vendors! They are always helping out our students! Intern Linh Phan has been selected for the 2013 Transitions Students of Vision Scholarship. This scholarship was open to optometry and opticianry students. In order to apply, students had to submit an entry to the “Share Your Impact” contest. An entry could be a video, short story, photograph, poster, drawing, or illustration that demonstrated how the student will use (or have used) his/her professional expertise to impact the lives of others. (1) How did, or will you, use your professional expertise to make a difference in the lives of others? (2) What impact did, or will, it have in their lives? Entries were judged based on creativity and their ability to communicate answers to the two questions above. 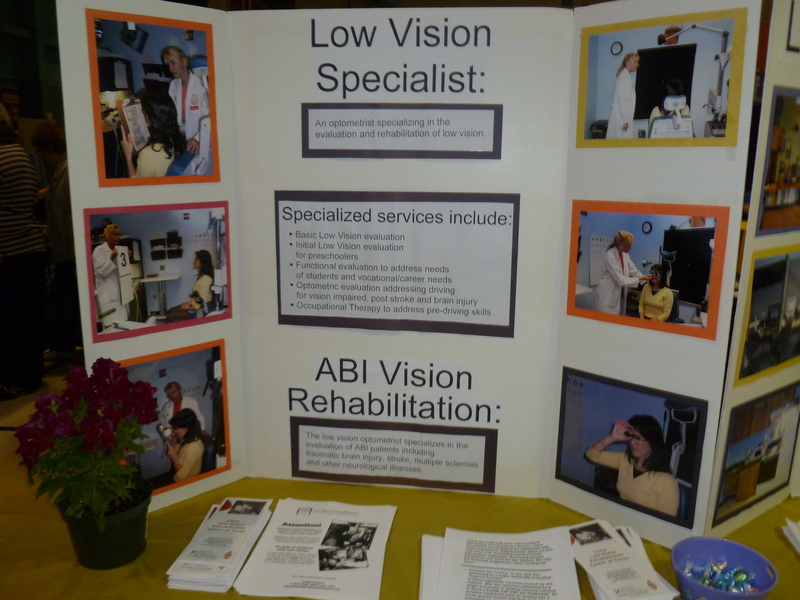 Intern Phan submitted a short story about volunteering for optometric services, and was one of ten grand prize winners, from more than forty-five applicants. As a grand prize winner, she will receive a $500 scholarship and an all-expense-paid trip to Transitions Optical headquarters near Tampa, Florida​. 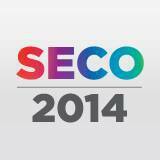 There are two big conferences that typically occur in March: SECO and Vision Expo East. The South Eastern Congress of Optometrists 2014 (SECO 2014) takes place from March 12 to March 16, 2014 at the Georgia World Congress Center in Atlanta, GA. 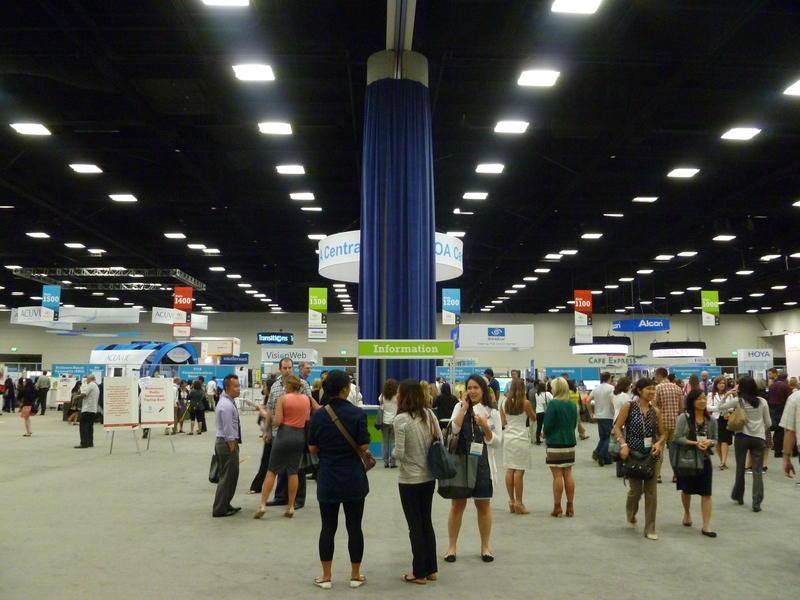 According to their official brochure, SECO 2014 offers innovative education, compelling exhibits, and exciting social events for all levels of eyecare professionals. Some of the benefits for optometry students include complimentary admission to the premier continuing education and Symposium Series within SECO’s OD continuing education program, Student Success Forum, Future Professionals Forum, access to the Student & Alumni Resource Center, and free networking events. Student attendees can receive a $100 cash stipend to help offset attendance costs. I have always wanted to attend SECO but have not been able to yet, and I have only heard great things about the conference from students who have previously attended. 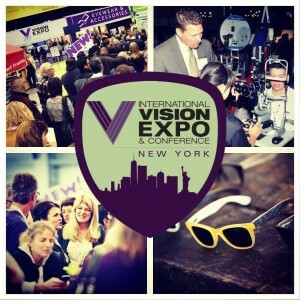 The International Vision Expo & Conference in New York (Vision Expo East) takes place from March 26 to March 30, 2014 at the Javits Center. 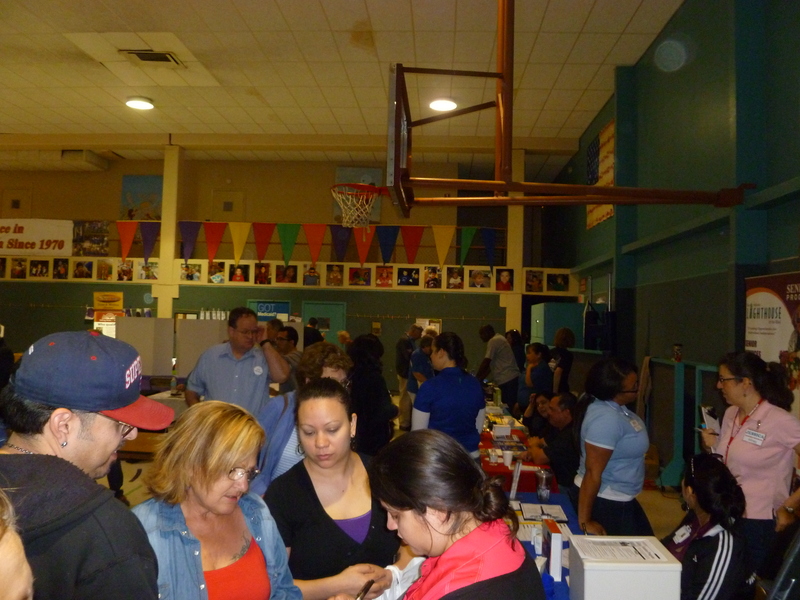 In addition, the International Vision Expo & Conference in Las Vegas (Vision Expo West) takes place this year from September 17 to September 20, 2014 at Sands Expo & Convention Center. 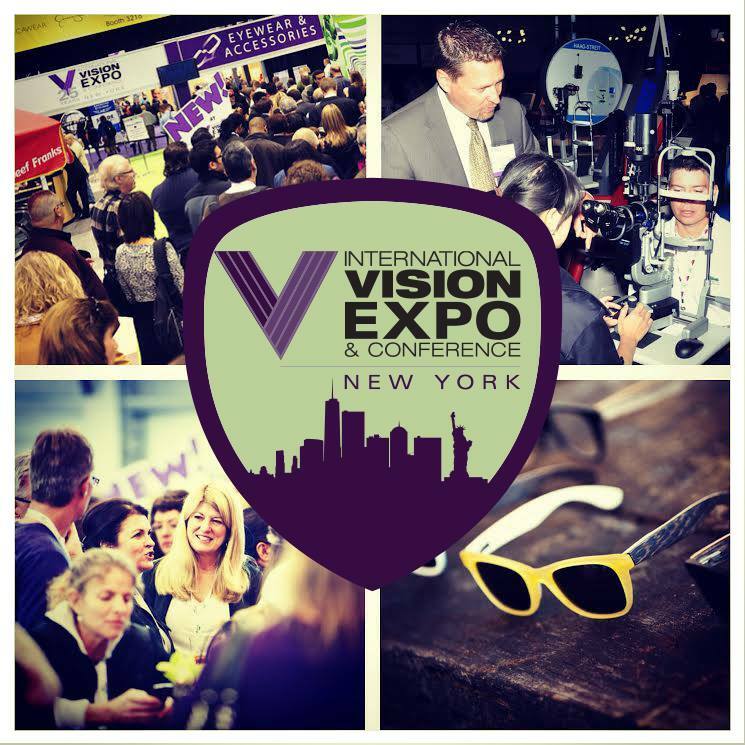 According to the Vision Expo East website, Vision Expo is a weeklong celebration to introduce the world’s most fashionable eyewear and advanced equipment and technology. 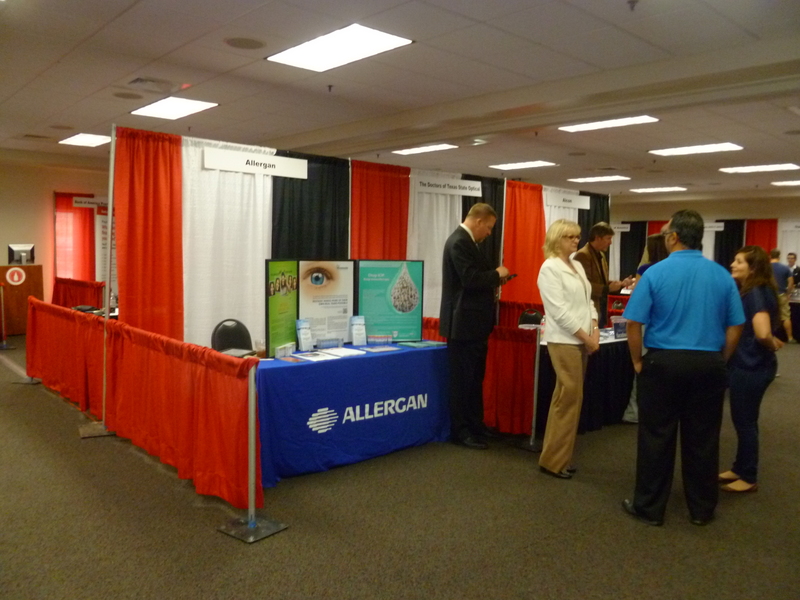 Some of the benefits for optometry students include free exhibit hall registration, free continuing education, student courses and lunch, and free networking events. International Vision Expo offers two students from each of the 23 official American Optometric Student Association (AOSA) schools of optometry a $500 travel grant to attend either Vision Expo East or Vision Expo West. I was able to attend Vision Expo West last year in Las Vegas with a student travel grant, and I really enjoyed the experience. 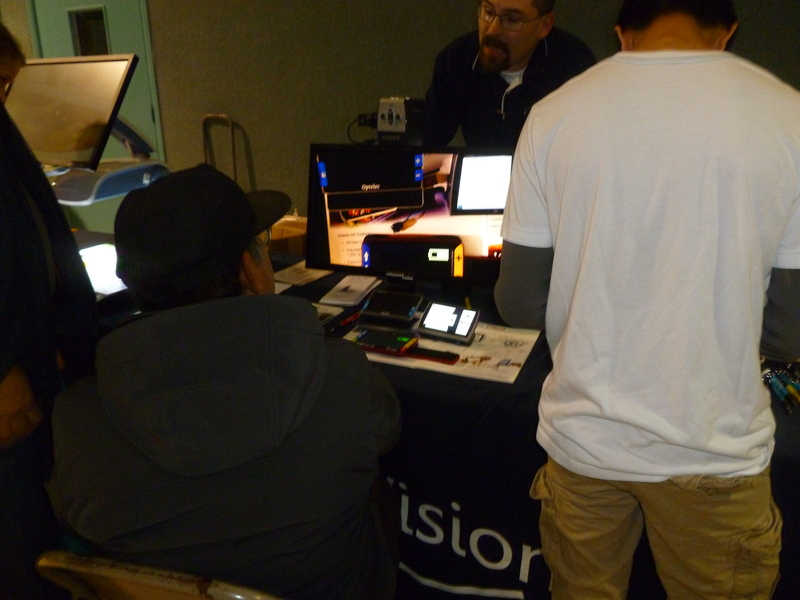 It was fun getting to meet new students from other optometry schools and colleges, to test out new equipment, and to try on the latest eyewear. I definitely recommend that all students take advantage of student travel grant opportunities. They are a great way to attend different conferences and conventions for free or at a reduced cost.